Situated in Bingley, this romantic hotel is within 2 mi (3 km) of Northcliffe Golf Club, St. Ives Estate, and Salts Mill. Shipley Glen Tramway and Bingley Five Rise Locks are also within 3 mi (5 km). Saltaire Station is 24 minutes by foot. 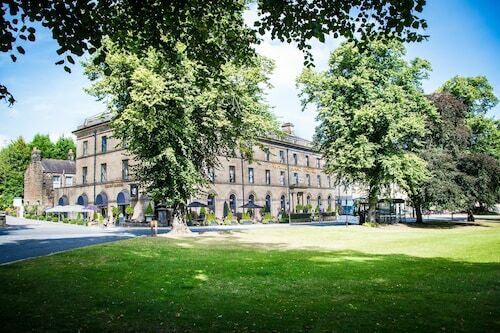 Situated in Bingley, this hotel is 2.6 mi (4.2 km) from East Riddlesden Hall and 2.8 mi (4.5 km) from Salts Mill. Ilkley Moor and Alhambra Theatre are also within 9 mi (15 km). Bingley Station is 11 minutes by foot and Crossflatts Station is 16 minutes. How Much is a Hotel Room in Bingley? Hotels in Bingley start at $46 per night. Prices and availability subject to change. Additional terms may apply. Visitors roaming in West Yorkshire who desire a place to stay in and around Bingley have plenty of choices. If you want to take the path less traveled in Bingley, Travelocity has around 19 excellent accommodations within a short drive of the downtown area. One of the best of just a few rooms within a short walk of the attractions of downtown Bingley, is the Mercure Bradford, Bankfield Hotel. 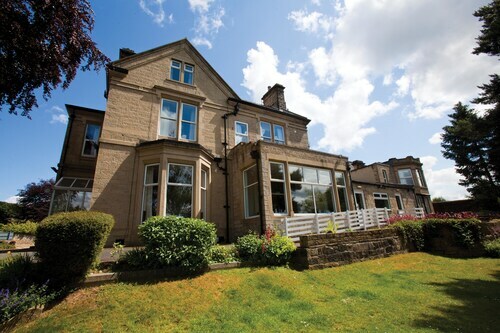 The Devonshire Arms Hotel & Spa is positioned 9 miles (14 kilometers) from the middle of Bingley. Or, alternatively, the Croft Mill - Apartments is situated 11 miles (17 kilometers) away. Alternate Travelocity-registered hotels include the Holdsworth House and the Shibden Mill Inn. 5 miles (8 kilometers) from Bingley, you can find Ilkley, where you can explore Ilkley Moor and Ilkley Toy Museum. 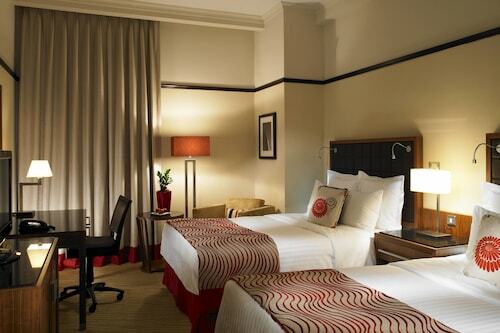 Next time you stay in Ilkley, check out the rooms at the Best Western Rombalds Hotel and Craiglands Hotel. 6 miles (10 kilometers) to the east of Bingley, you can find Yeadon, which boasts the Chevin Country Park Hotel & Spa and Hillcroft Barn. While in Yeadon, be sure to visit the Yeadon Tarn Park and Yeadon Town Hall. Before you make your way home from West Yorkshire, why not make sure you are able to see a thrilling game. Get to Old Trafford, to the southwest of Bingley. 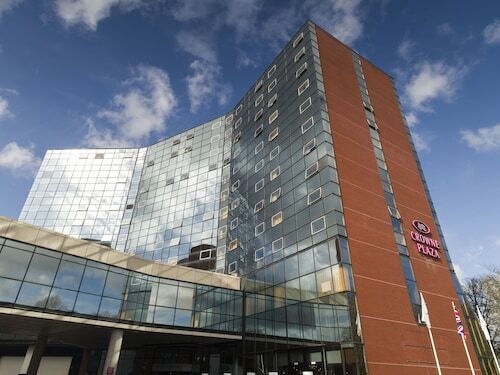 Enlightened travelers who are thinking of sleeping in the area, book a room in the Dreamhouse Manchester Bloom Street or The Lowry Hotel. Leeds Bradford Airport is situated 7 miles (11 kilometers) away from Bingley's town center. 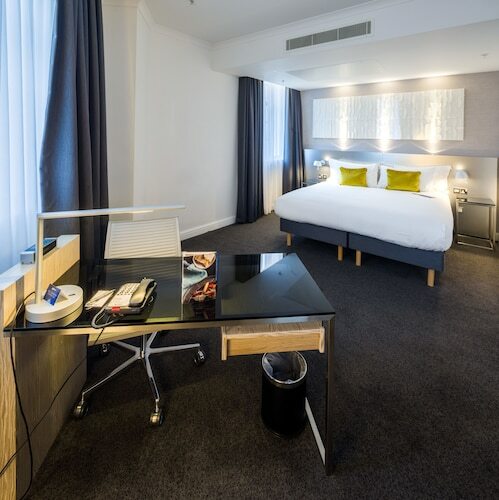 Should you would like to stay close by can reserve a night via Travelocity at the The Half Moon Inn or the Britannia Leeds Bradford Airport Hotel.